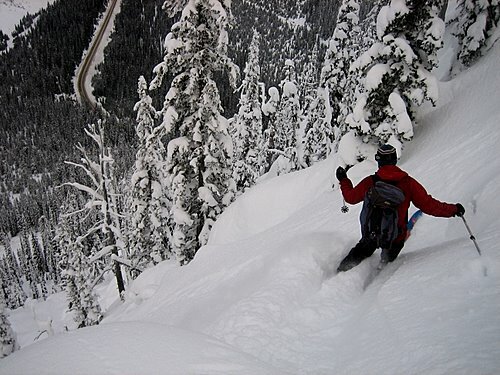 Having driven and skied passed it numerous times, I’d long imagined skiing off the dramatic eastern Camels Hump at Kootenay Pass. After a day of perfect powder skiing, Andrew, Jordy and I hopped our way down the northern face on our last run of the day. With clearing skies I headed back again yesterday with Derek and Dave to enjoy some long open lines in the sun. Here’s a compilation of the short videos I shot with my pocket camera. hey i am only twelve years old and i ski tour at least twice a year at kootenay pass and this year i skied that smae avalanche chute behind you and it was phenomanal. 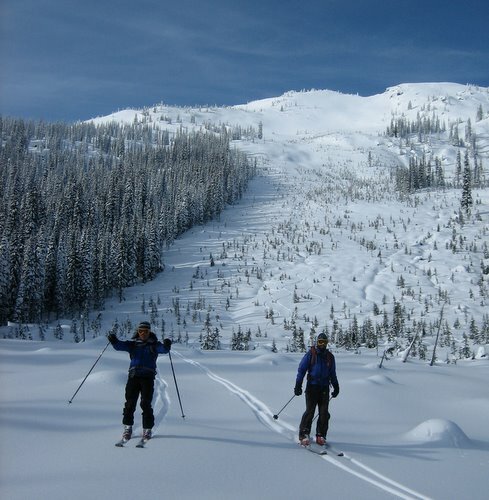 hey i am only 12 years old and i ski kootenay pass at least twice every year and i skied that same avalanche chute. and we had to break trail all the way there but a phenomanal chute to ski!! !